Bloomington-based energy bar keeps UGo-ing from one adventure to the next. The Ugo bar openly shows each all-natural, local ingredient of the two flavors, Anutter and Ultra Cherry Cacao. /Photo Courtesy of UGo Bar LLC. Long time runners, Rebecca Walter, 30, and Tracy Gates, 53, wanted a snack that promoted healthy and active living. The duo came up with the UGo Bar, a granola bar produced in the rentable kitchens of the One World Commissary in Bloomington. The small, rectangular bar comes in two flavors, Anutter and Ultra Cherry Cacao and presents each healthy, local ingredient in a sticky, delicious clump of nuts, dried fruits, brown rice syrup, dehydrated cane juice, chia seeds and sea salt. “You can reach for one when that hang for hunger calls,” Rebecca says. The idea started with a homemade granola bar recipe Rebecca made while she was the assistant coach for the IU cross-country team. She joined with Tracy, who worked as the manager of Scholars Inn Bakehouse. The two began playing around with different recipes in January 2013 and sold their first batch of the bars in August. Rebecca and Tracy are now fully committed to the company, making the UGo bar their full-time jobs. They know they are entering a rapidly growing market with their product. 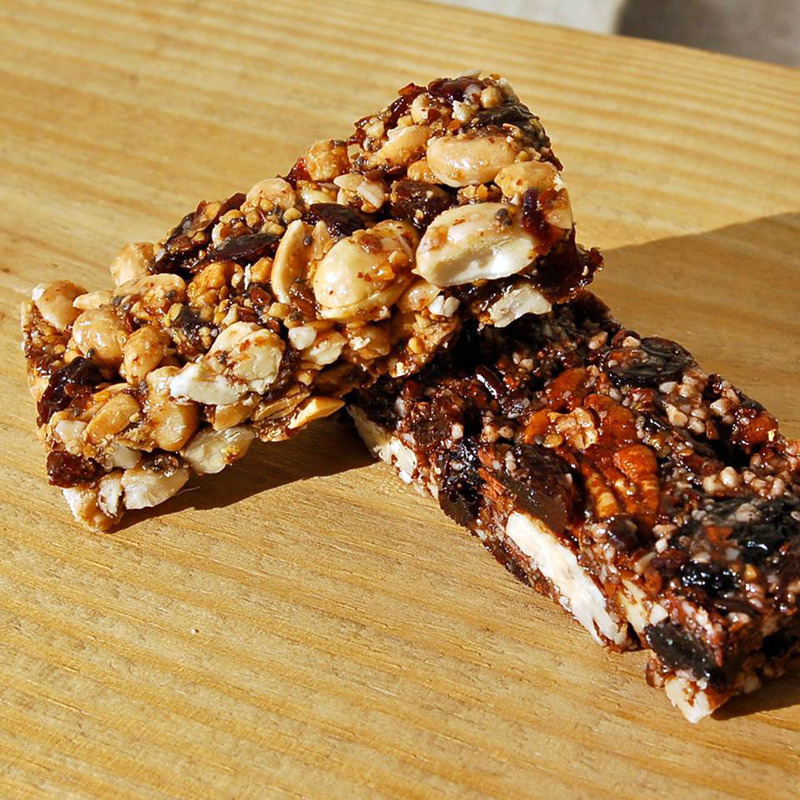 Sales of energy bars jumped 32 percent in 2013, according to a study done by Chicago-based market research firm Mintel. Each bar, approximately 220 to 240 calories, is vegan and gluten-free. The bars are packed with electrolytes and antioxidants and have a well-balanced ratio of fat, protein and carbohydrates, making them a good source of energy for athletes or a snack between meals. They cost about $2.50 each depending on the vendor. The UGo bars are sold in various retail stores, outdoor outlets and coffee shops in Southern Indiana and nine other states, such as California. They can be found locally at the Bloomington Farmers’ Market, Indiana Running Company and within the pockets of the company’s sponsored Star-Athletes, mainly runners living in or hailing from the Hoosier state.